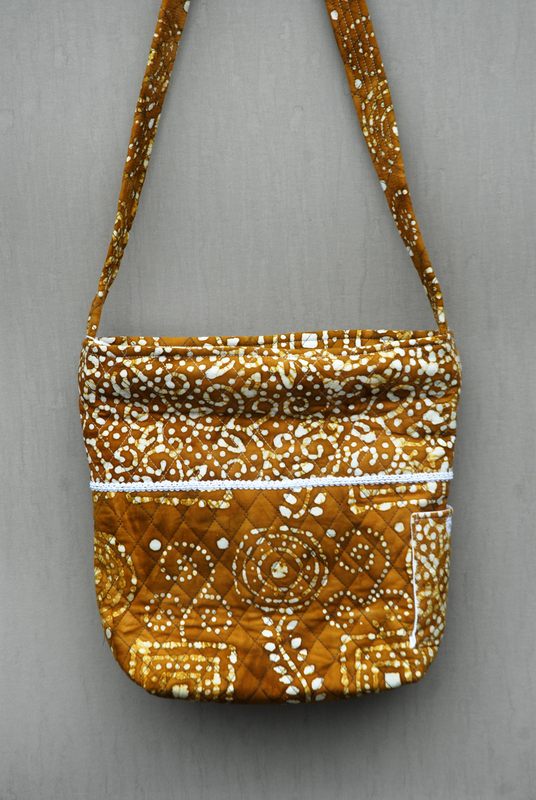 ​The Sandy Bag could work as a cross body bag for someone who is short in stature from the waist up. 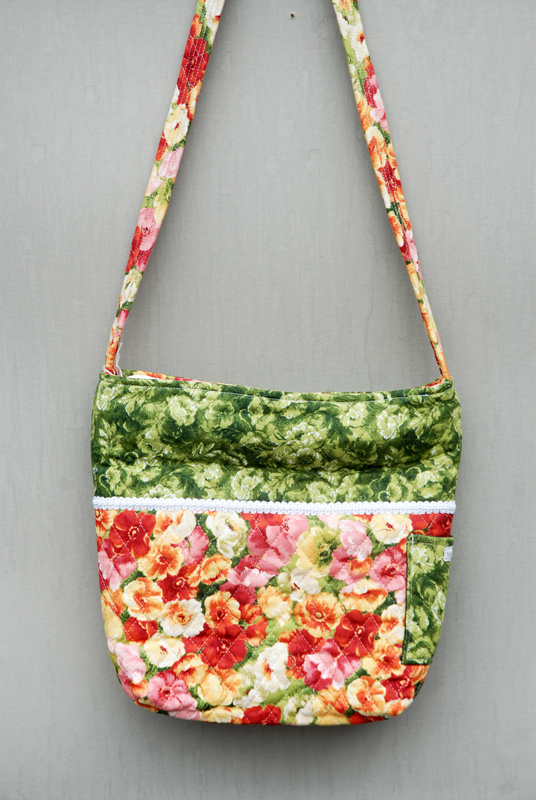 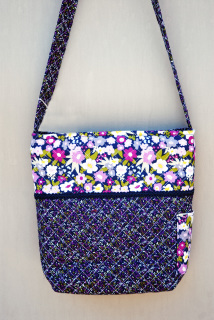 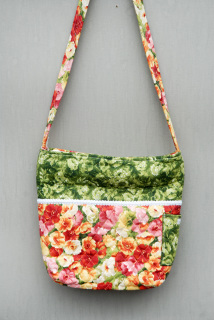 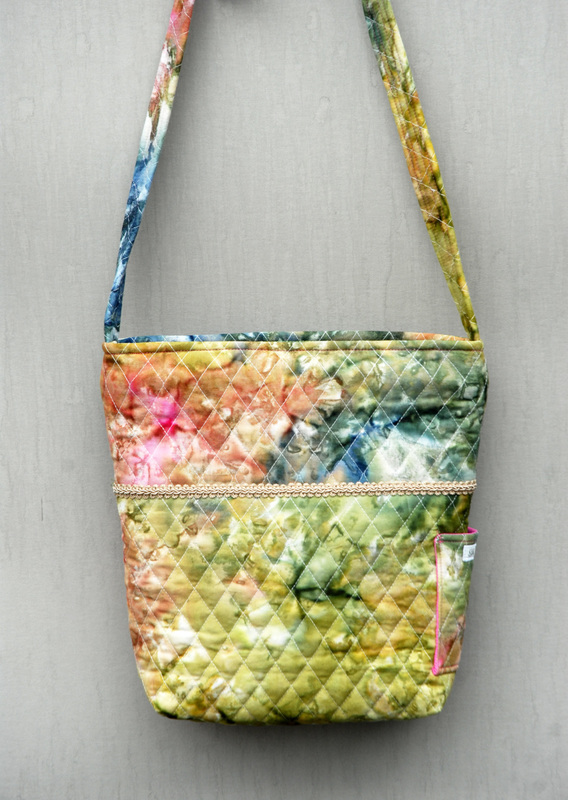 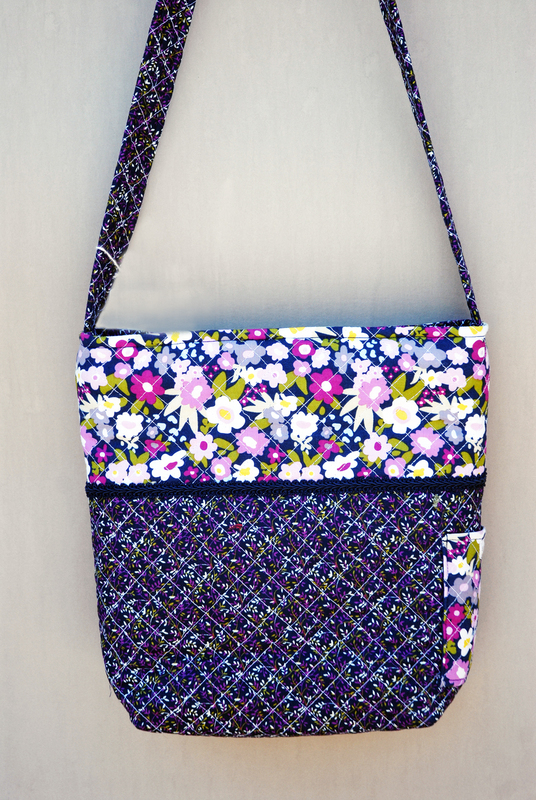 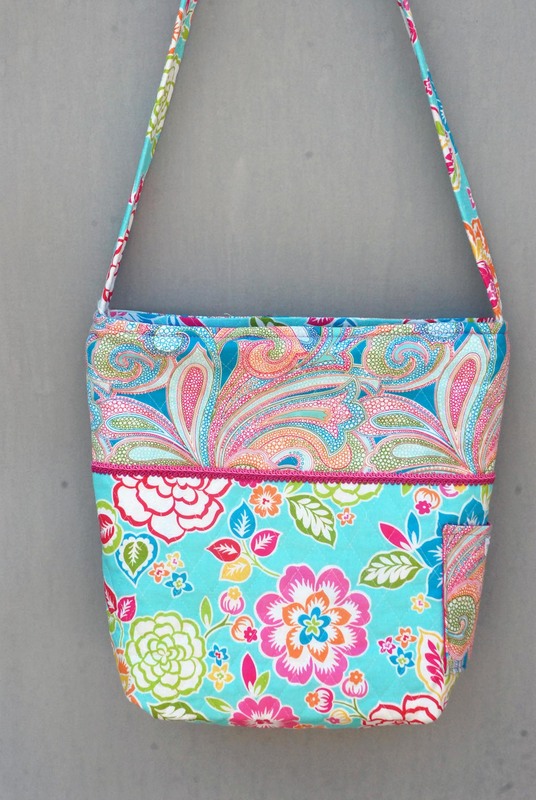 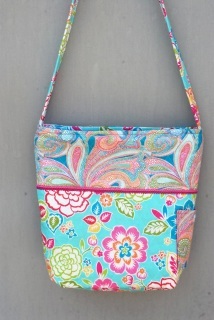 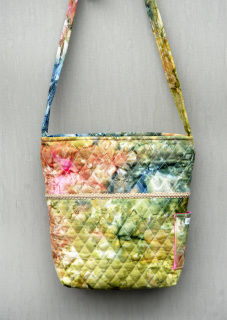 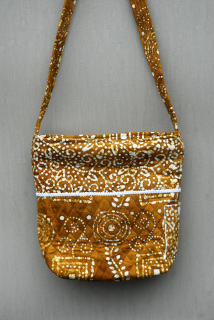 The strap measures 19 1/2 inches from top to bag, which makes it 39 inches long from side to side. 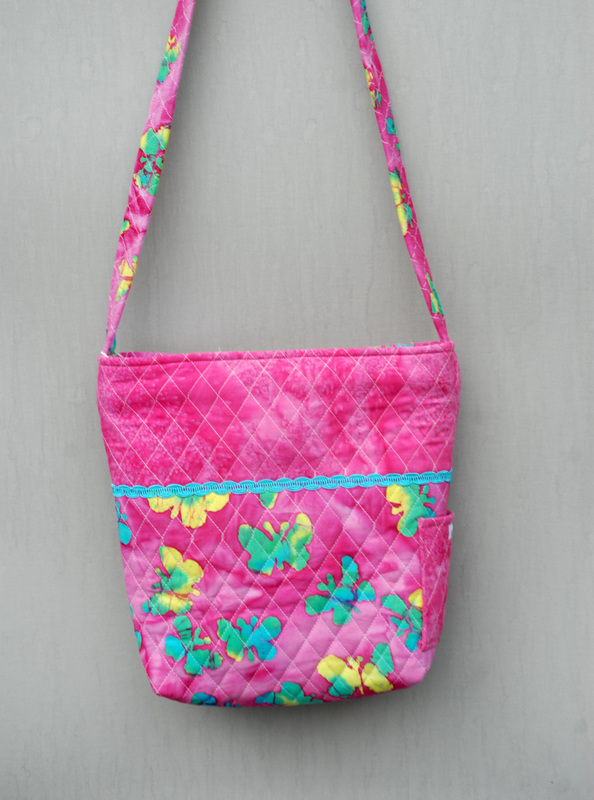 The bag is 10 inches high, 4 inches wide and 13 inches across. 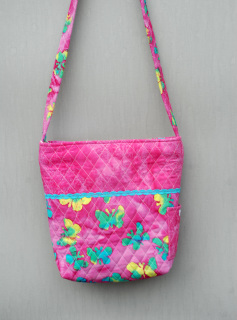 On the outside at the side of the bag is one small pocket measuring about 4 inches deep and about 4 inches wide.